Play Obetz is back! After many years, we’re happy to be bringing this event back! Fortress Obetz is the perfect new home for Play Obetz. 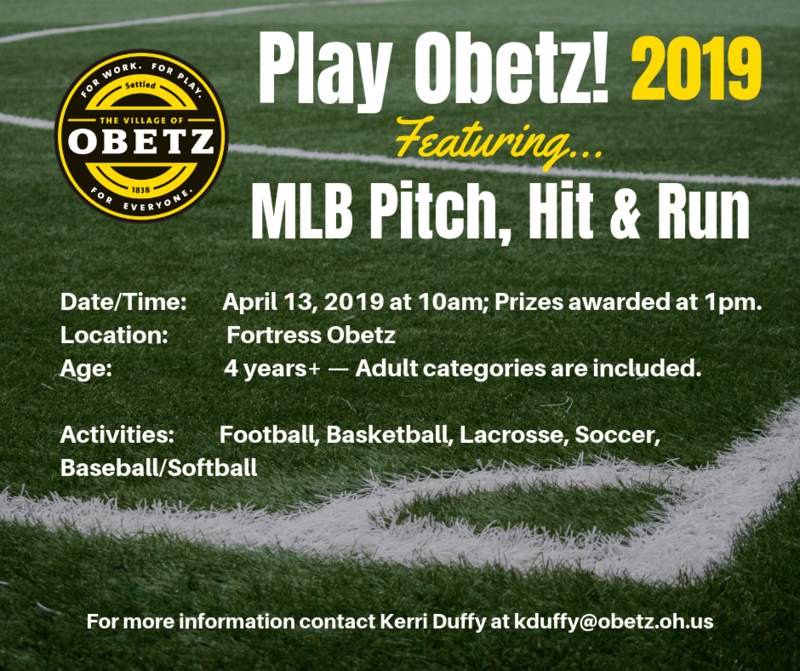 Show off your skills at Play Obetz 2019! Compete in a number of sporting events for a chance to win a prize. This FREE family-friendly event is open to ages 4+. We’re going to be giving away tons of prizes! Basketball, football, lacrosse, soccer, baseball, and softball will all be represented at Play Obetz! The baseball and softball portions of this event will consist of the MLB Pitch Hit & Run and the MLB Jr. Home Run Derby events! These events will have age restrictions. The Pitch Hit & Run age categories are 7/8, 9/10, 11/12, and 13/14. The Jr. Home Derby is for 12U and 14U. Participants compete in either the Baseball Division or Softball Division and have the chance to advance through four levels of competition, including Team Championships at Major League Ballparks, and the National Finals during the MLB All-Star Week! If you have any questions, contact Jacob Gifford at jgifford@obetz.oh.us or Kerri Duffy at kduffy@obetz.oh.us.